Along with card magic, another passion of mine is antique pocket watches. My good friend and horologist lives a few hours away, so every few months I drive up to visit his shop and drop off my new timepiece and see what new toys he has picked up. Always fun to see some clocks from the 1600's on his bench. This last May I went up and saw this clock. He called it a magic or ghost clock. Right away I starting picking it apart trying to figure out how it worked. 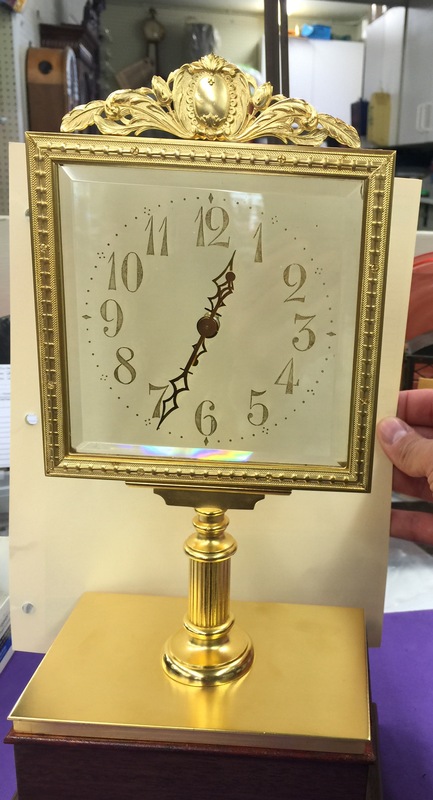 The clock face was a solid peice of glass as shown. No wires, tubes, threads, mechanisms can be seen at all to give an idea of how this clock works. The hands move but they seem to move on their own magically. Immediately I jumped into card magic mode and tried to figure it out but was stumped. Again, as shown the hands literally look like are loving by themselves. Maybe solar powered?? So we get to chatting about this clock and he tells me it's from the 1840's from Europe and though not rare, still hard to come by. So I dig a little deeper and try to find out how it works and he tells me you'll have to figure it out but gives me a hint that itiis mechanical and it's right in front of my eyes. Damn if I didn't guess and guess and damn if he still didn't tell me!! But he did tell me who designed the clock. Funny thing is that my friend had no idea who it was. I knew the name much like all of you, which made everything about the clock completely understandable now....one Jean-Eugene Robert-Houdin. Thanks for sharing, great to see that. Very nice! I love magic collectables. I would have snatched that up in heartbeat. You've got to be kidding! You came across a Robert- Houdin?! Seriously? I'm blown away right now...seriously. Absolutely fascinating! Thanks for sharing!